Since I was 17 years old, I have been obsessed with two things. The Beach and the Radio. For me, the two just seem to go together. 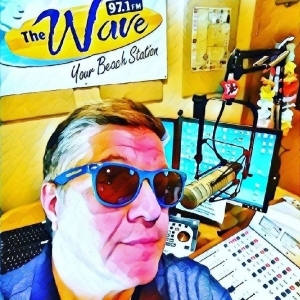 I spent many summers working and playing at the Delaware beaches and when I went off to college, I was able to help start the college radio station and became the first student station manager. I interned at the rock station WYSP in Philly and worked at the old SEA93 in Georgetown one summer. I’ve worked at Delmarva Broadcasting since 2003 as a parttime guy on our sister stations, Eagle 97.7 and most recently Cool 101.3. One of the highlights of my radio career was a Live Broadcast from the Rock N Roll Hall of Fame in Cleveland in 2008. Coming to 97.1 The Wave is a dream come true. It combines my love of radio, music and the beach life. So whether you’re a local and I can help get you through your morning or a vistor spending some time at our beautiful beaches, thanks for turning me on. What Disney Princesses Look Like Without Makeup?